Now a manager on AlphaSights’ fast-growing Finance team in London, Merel Peters had a rather unique path to her current role. After her internship on our Client Service team (CST), she sat down with Co-founder, Andrew Heath, to figure out her next move at AlphaSights. 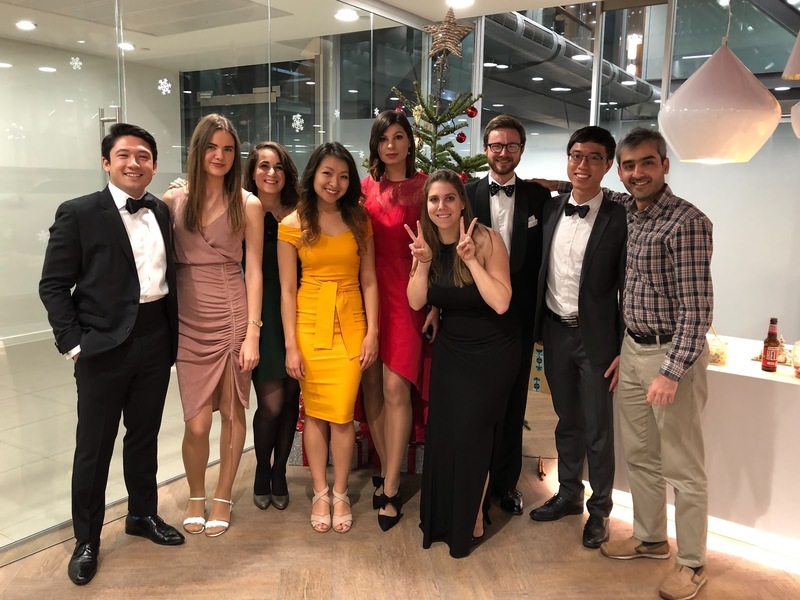 While she very much enjoyed her internship, focusing on clients’ knowledge gaps and identifying experts around the globe to answer clients’ questions, Merel acknowledged that she wasn’t quite right for the commercial CST role. They both, however, agreed Merel definitely had a place at the company. As a full-time Operations Analyst, Merel played a supporting role to many different teams, including CST and Recruiting. She attended career fairs, helped strategize on how to bring in European talent, and helped CST source industry experts when needed. Two years later in 2015, Merel realized she wanted to move into a more financial role. Having majored in Finance, she had exposure to the field from a young age through internships and work experiences. Though she’d never been set on a career in Finance or Accounting in the past, the team and role at AlphaSights seemed like the perfect fit. There were only two other people on the Finance team when Merel joined. Group Finance VP, Suhail Ratansi, had started a few years prior and was building out the team. While tasks were separated out at first, the small team wore many hats to get everything done. Over the years, the team expanded and began to specialize across focus areas and regions. With a team of fifteen, they split into sub-teams consisting of Expenses & Payables, Billing & Receivables, Accounting and Information Analytics. Merel plays a part in a few of the subteams, managing the Billing & Receivables function and as well as working on the Accounting side for Asia with Deborah in the Hong Kong office. Though the Finance role is more reactive in nature, due to client, advisor, and employee requests, the team also works closely with our in-house Software Engineering team to proactively improve products and features and act as a partner to the business. It’s difficult to describe a typical day on the Finance team because it depends on a person’s subteam and where the day falls in the monthly cycle. Merel spends the first half of the month focusing on billing and receivables with her colleague, Leo. Together, they produce sales invoices and credit notes based on the previous month’s usage, make sure that clients receive up-to-date usage reports, and assist with queries on billing and service usage. The second half of the month is dedicated to managing the financial month-end closing and to preparing the management accounts for our Asian offices. Though Merel’s tasks are cyclical in nature, she also handles daily stakeholder requests. Since the majority of the team sits in AlphaSights’ headquarters in London, Merel starts her morning by handling requests from Asia that came in the night before, requests that come in from London late morning, and then inquiries that arise in the US later that afternoon. Clients, advisors, and employees often reach out to Finance to clarify invoices and billing, confirm payments, and figure out compensation options in tricky scenarios, for example in a situation where an Advisor is unfamiliar with the expert network industry and has questions around our payment process or methods. AlphaSights’ culture initially attracted Merel to the company. The environment was (and is!) very energetic, collaborative, and social; she met most of her close friends in London working at AlphaSights. She loved her internship and knew she wanted to continue working for a high-growth firm after her graduation. Once she found the Finance group, Merel was grateful that it differed from working in the Finance department in a bigger firm. The team also gets along really well. They eat lunch together, attend fun events around London, and participate in team events once a month. The group works well because it’s a mix of recent graduates and experienced leaders in finance. Merel reflects that one key to success in this role is a desire to be flexible and wear a lot of hats. Finance works in the same environment as the rest of the high-growth firm; it’s fast-paced and dynamic, seeking individuals who are innovative, flexible, and ready to get involved in a lot of different areas. Merel Peters was first introduced to AlphaSights as a Research Intern on CST in London. In 2013 she started full-time and in 2015 moved to a role in Finance.